I am starting to see the error in the North American life style: we are selfish, lazy (which turns in to overweight), over privileged, workaholics, we don’t make enough time for our friends and family, our schedules are much too busy, we use way too much water, we love money, the brand name on our clothes is more important to us then the small people who made it, we eat way too much processed food and we take education too lightly. I could go on and on. Speaking in general terms, Ghanaians are poor. Even those who are educated and employed do not live to the standards we do in North America. Simple things like hot and clean water and bathtubs are luxuries. Ghanaians work at their own pace and they have no issues with taking a day off if they are ill or their children are ill. Ghanaians spend time with their family and friends. They will go out of their to help another person. They do hard labour and eat a ton of carbs and protein to sustain their body (I go through vegetable withdrawals when I eat out often). Ghanaians move slowly at just about everything EXCEPT driving, they drive like maniacs and they know it too! I dare you to ask a Ghanaian born person about the driving here and watch them laugh and tell you how horrible the driving is. Ghanaians do not care about brand names, they will wear whatever fits, in fact many people buy fabric and have their clothes tailor made, as it is cheap to do so, which I so envy. Ghanaians eat all fresh food and they rarely eat out, besides the odd piece of pizza, food from street vendors or chop shops (small enclosed rooms that have seating and serve a one or a couple of Ghanaian dishes), but fast food here is nearly non-existent (although I did find a KFC today in a Westernized part of town). There are no drive-thrus and rarely do restaurants deliver food. For the most part, women are stay at home moms and they cook all of their family’s meals. Education is a subject here that is looked at in different ways in different areas. 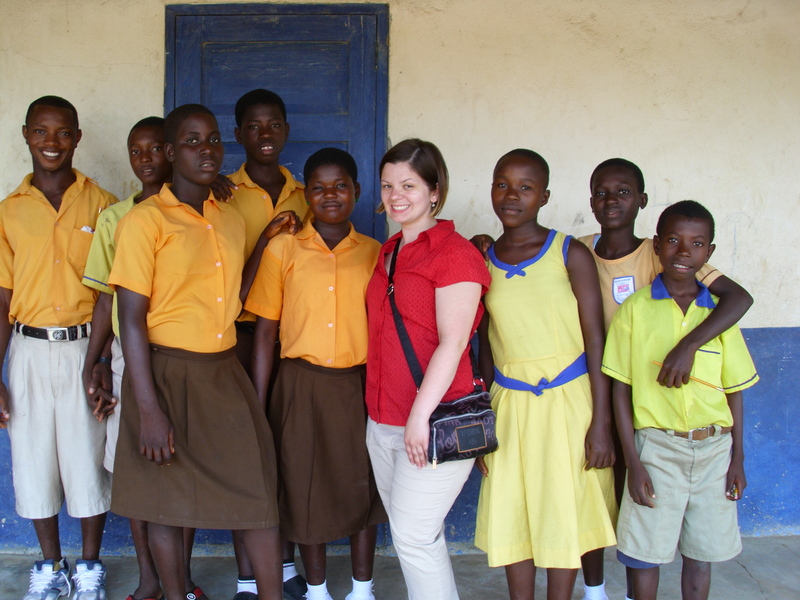 From research I have done with the organization I am interning with, education in the Northern parts of Ghana is not looked at to be as important as they see it in other areas. Northern Ghana is struggling to maintain qualified quality teachers and many people still have mixed feelings about educating their children due to forced or coerced education during colonial times by Europeans. Children are eager to learn and most take their education very seriously. I am beginning to enjoy the pace of life here. I am never stressed and I always have time to do leisurely things. Of course I miss a hot bath, my bed, my washing machine, my fully functioning kitchen, side walks, toilets available everywhere you go (with toilet paper), in Ghana it’s BYOTP. I also miss Canadian ants that do not bite and sting worse then bee stings and my internet which never goes down (unlike here where getting your internet to stream is a game of hit and miss). I think when I get home I will hug my whole apartment, take a long hot bath and go on a junk food binge. So far, my list includes a Tim’s bagel with cream cheese and a carrot muffin, chedder cheese, tacos/fajitas, peameal bacon, McDonald’s apple pie and strawberry sundaes, syrup and my favourite white zinfandel wine. Hi Rita!!! Thank you for sharing this experience! I enjoy reading and it really makes me think about our life stile and whats really important for us, as a human being. Beijos and keep writting!